Las Vegas Gunman Once Sued Casino For Negligence, Brother Claims Gunman Had No Political Affiliations - Joe.My.God. The brother of the Las Vegas shooter said that he was a normal guy who must have ‘snapped’ before carrying out the worst mass shooting in American history. In an exclusive interview with DailyMail.com, Eric Paddock said that ‘something happened’ to make his brother Stephen kill at least 50 people and injure 200. 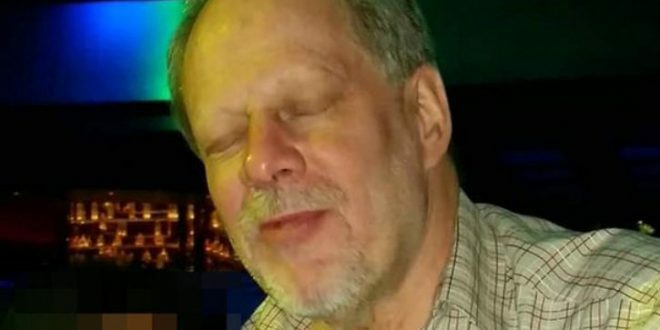 Clark County court records show that Paddock sued a Las Vegas strip hotel in 2012. He filed the lawsuit against Cosmopolitan Hotels & Resorts Inc. in September 2012. The case was dismissed with prejudice on October 3, 2014, and then later settled through arbitration. Records show he was suing for “Negligence – Premises Liability.” Details about the case were not immediately available. Other public records show that Paddock had an airmen’s certification. According to the FAA, Paddock was issued the private pilot license on November 17, 2003, and was rated as being able to fly a single-engine airplane and an instrument airplane. He last had a medical examination in February 2008.